Those who make a living by working outdoors face a unique set of challenges throughout the year. In states that experience all four seasons in full force, a lot of attention needs to be focused on worker safety in relation to extreme weather conditions. Hot temperatures greatly increase the risk of heat stroke-related injuries; however, this effect can be combatted with frequent hydration breaks and the appropriate protection from UV rays. 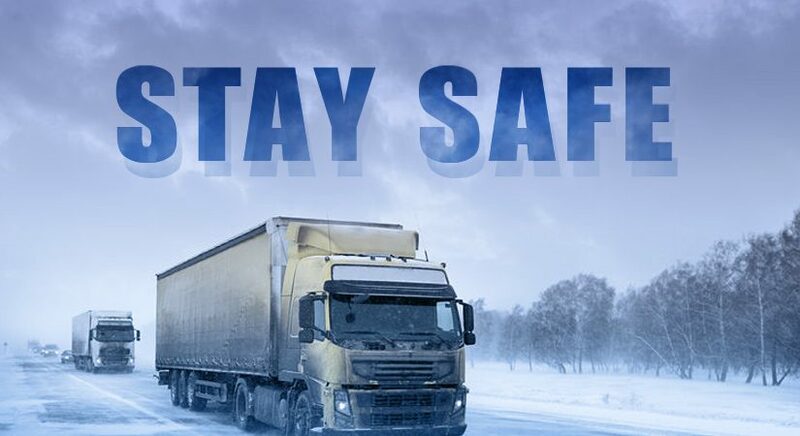 Extreme cold temperatures can present many more potentially dangerous situations that can go unnoticed until it’s too late. Here’s a closer look at the hazards of extreme cold weather exposure, as well as some measures that can be taken to protect workers from them. To understand all of the dangers of exposure to cold temperatures, you must first understand the concept of wind chill. The wind chill refers to what the air feels like when combined with the speed of the wind. For example, if the outside temperature is 4 degrees (F), but the wind is moving at 20mph, the air feels and effects the skin as if it were a negative 8 degrees (F). Your body battles cold stress, which is defined as the driving down of skin temperature until it effects the internal body temperature, by shifting blood from the extremities to the chest and abdomen area, also referred to as the “core”. The use of substances such as nicotine, alcohol or caffeine will speed up the process of losing body heat. Dampness or other moisture can also significantly increase this effect. If exposure continues to drive down a person’s core temp, tissue damage or other serious health problems can occur, and possibly death. The three most common conditions caused by extreme cold stress are Hypothermia, Frostbite and Trench Foot. Hypothermia is the result of a person’s body temperature reaching less than 95 degrees (F) due to losing body heat faster than it can be replaced. Beginning symptoms include shivering or extra movement to generate heat. These can quickly lead to more severe symptoms such as general disorientation and confusion. A slower pulse and rate of breath can also occur along with dilated pupils. Although common in extreme cold temperatures, Hypothermia can affect the body in temperatures as warm as 40 degrees (F). Individuals suffering from any of these symptoms they should immediately be moved to a warm and dry area and any wet clothing should be removed. Then layers such as clothing and blankets should be applied. In extreme cases, call 911 immediately, or go to a medical facility soon if the symptoms do not subside. A condition where the unprotected skin and underlying tissue freezes is known as Frostbite, and usually occurs in the extremities. Severe cases of Frostbite can result in the amputation of the effected body part. Warning signs include numbness in the affected area, gray or white patches on the skin, and blisters may appear in more serious cases. Victims of Frostbite should be moved similar to Hypothermia patients, however no contact should be made with the affected area. Warm, sweet drinks can also aid in the recovery from Frostbite. As mentioned previously in this article, the introduction of water to extreme cold conditions significantly raises the threat of Hypothermia and other cold stress-related conditions. For example, wet feet lose heat 25 times faster than dry feet. Trench Foot, or Immersion Foot, is the result of continually wet feet in cold temperatures leading to the death of skin tissue due to a lack of oxygen and nutrients to the foot. Trench Foot can develop in temperatures as high as 60 degrees (F) if the feet have been totally immersed in water for a period of time. Redness of the skin, numbness, swelling and blisters are common symptoms of Trench Foot. People suffering from this condition must have their feet dried, and covered in warm clothing or other means of warming the extremities. Call 911 or seek medical help in extreme cases. For more information on ways to spot and treat all cold stress maladies, visit OSHA’s Cold Stress Guide at https://www.osha.gov/. The easiest way to avoid Cold Stress related injuries, besides avoiding cold temperatures entirely, is to wear the appropriate clothing designed to prevent the loss of body heat. Using layers becomes more important when workers are subjected to high winds, in addition to avoiding any exposed skin. Individuals who wear other protective gear such as hard hats should wear a cold protection liner or cap under the hat. Special care should be taken when selecting gloves for protection from the extreme cold. Anyone exposed to damp conditions should have gloves that will keep the hands warm and dry, as well as water resistant outer gear to avoid getting wet clothes. Other ways to protect workers from very low temperatures are to install heating equipment where available, or to construct shelter from wind. Frequent breaks should also be taken, with focus on reducing activity to avoid sweating. As with any physical activity, workers must stay hydrated, with the addition of warm sweet beverages. The most important step a company can take however, is to formerly educate their employees and supervisors on the risks, signs and treatment of cold stress related conditions. There should always be a buddy system for outdoor workers where each member watches the other for symptoms, and who can call for help if cold related injuries occur.